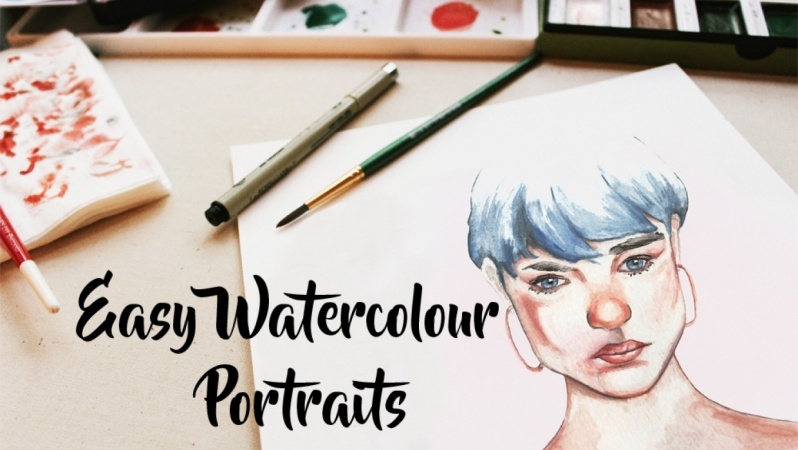 Easy and quick way to paint portraits in watercolours. Create portraits full of emotion with little detail. Portraits that you can turn into prints and sell online. A pencil drawing of a face. You can trace a picture. 2 brushes - the smallest size you can get and one size above that. Paint your own portrait in watercolours or acrylics and share your progress. Don't worry about how realistic it looks, emphasise a red nose and turned down lips for a sad face, or make your eyes a little bigger with rosy cheeks for a happy face. Use different colours for the hair. Pretty much, Have Fun! Hello everyone, my name is Sharon Mapuvire and I'm a freelance fashion designer based in Harare, Zimbabwe. The Skillshare team invited me to be a part of the teaching community and I felt it would be a great platform to share my skills and talent because I have developed ways of creating designs through computer programs in easy ways applicable to anyone. Making it possible for anyone to design whatever they have in mind without ever knowing how to draw.